The Moni Originals hummingbird round necklace pairs nicely with the matching single or double dangle earrings, sold separately. Painted on a sky blue background in multiple layers. Additional Information: Pendant is .925 silver. Disc approx 1\" diameter. 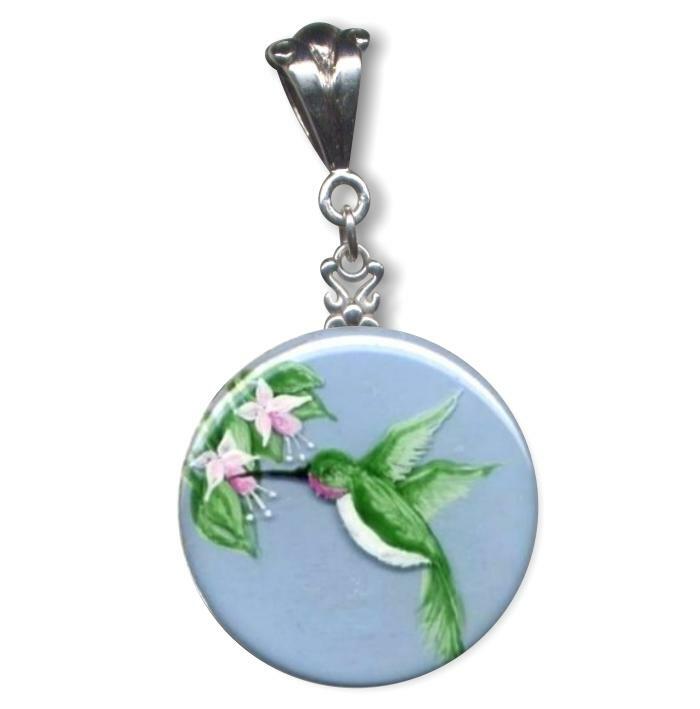 Click on the "Zoom Available" link for a close up view of Hummingbird!